Andis started selling their Pro Alloy XTR clipper at the end of this summer. The electric hair clipper quickly became a favorite for barbers all over the world. At the same time, a timeless classic among Andis professional hair clippers is Andis Master. Andis Master has been the poster boy for Andis’ finest pro tools for quite a while. How do these two Andis clipper models perform when compared with each other? Which one would be a better investment for you? And in what circumstances? Join us for a detailed comparison between the two so check out Pro Alloy XTR on Amazon.com and Master on Amazon.com. You’ll get your answers by the end of it, we guarantee that! You’ll remember a Master clipper forever. This Andis professional clipper features a clean, stylish design that focuses on comfort. Its body is made of aluminium, hence you receive an extra tough, virtually unbreakable hair cutter. It’s chrome-colored looks set it apart from many other clippers in its niche. Andis XTR hair clipper also features an elegant design. However, it doesn’t have the polished aluminum looks of the Master. Rather you get a combination of strong metal housing, entwined with hard plastic coating on top. It’s also bulkier at 7.25″ in comparison with the Master’s 6″ length. Both Andis professional hair clipper models feature above average durability. However, the Master does score higher in this regard due to the full metal casing. At the same time, though, the Andis XTR coated plastic is slightly textured. I’d say this makes for some better ergonomics and consequently, a better grip when you cut your own hair with clippers. Both hair cutters are relatively heavy. The Pro Alloy is heavier at 1.38 lbs, while the Master clippers weigh 1.25 lbs. Andis Master blades and the clipper’s motor are virtually the same as the Pro Alloy’s…on the surface. 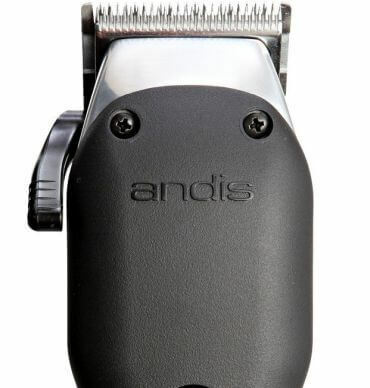 Both Andis professional clippers feature the brand’s trademark electromagnetic motor. Its power makes these Andis electric hair cutters heavy-duty ready. You can count on them not to “choke” even when you use them to cut huge amounts of hair. Here’s the trick, though: Master clippers can go rev it up to 14 000 strokes per minute. The Pro Alloy motor runs on 7200. Nevertheless, both clippers score very high in terms of performance. As for the blades, the Pro Alloy and the Master come packed with carbon-coated steel blades. Sharper and stronger than your usual steel blades, they will graze through any type of hair. The blades are adjustable (#000 and #1). All you need to do is flick the side lever of both Andis clippers to pick your desired length. Both the XTR’s and Master blade can be zero-gapped for even shorter cuts. The huge difference here is Andis XTR technology. It starkly reduces the Pro Alloy’s motor vibration. As a result, this model vibrates 20% less than Masters clippers. Why is this important? Fewer vibrations mean better control and usually – quicker haircuts and lack of tiredness in your hands after you finish. Your average hair clipper user likes neither noisy machines, nor ones that get warm to the touch. However, barber clippers are seldom quiet and these two Andis professional hair clippers conform to the standard. With that in mind, the Pro Alloy XTR is a bit noisier than the Master clipper. Both fall among the average for pro hair cutters – louder than a Wahl’s Magic Clip, yet quieter than Oster’s classic 76 clipper. It’s the heating department where the Pro Alloy really beats the Master. Due to the innovative XTR technology, the Pro Alloy is way cooler (up to 35%) than Master clippers. It does get warm to the touch, but nothing in comparison with the Master’s heating problems. Then again, the latter has an all-metal body so it’s obvious it’ll have some temperature issues. The discussions on which are the best clippers for fades have always been pretty active. The Andis blade is regarded as an amazing option if you’re looking for quality fades. As the Pro Alloy XTR features similar blade specifications, it joins the poster boy of Andis. Three things make these Andis electric clippers one of the best hair clippers for fades: their sharp blades, the comfortable and flexible side lever (to adjust them), and the powerful electromagnetic motor. I expect to see the Pro Alloy gain traction in the future, as both stand very close to each other in terms of fading potential in my opinion. 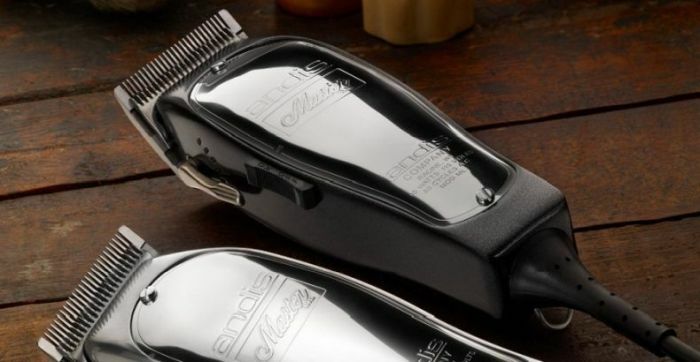 Undoubtedly, Andis Master electric clipper is priced steeper than the Pro Alloy. While we can classify the latter as a medium-budget hair cutting machine, the Master enters the high budget clippers group. The Pro Alloy does win in the accessories department. It comes with nine attachment combs, whereas if you want the Master guards, you’ll need to purchase them separately. However, the Pro Alloy XTR scores lower in terms of compatibility with other blades and guards. I guess this is the small drawback of being a new generation of Andis hair clippers. Usually you can switch the Andis Master blade with other blades like Wahl clipper blades, for example. You can’t seem to do that with the Pro Alloy. Furthermore, the Pro Alloy will work with the single Andis nanomagnetic guards only. So in a way, you trade the free guards you receive for a limited Andis blades or Andis guards compatibility. Do you like more stylish, tougher professional clippers? The Master is a better choice due to its full aluminum body and iconic looks that made it the poster boy for Andis clippers. Prepare for some serious heating problems, though. Do you prefer a more innovative, less prone to heating clipper that also doesn’t vibrate as much? Pro Alloy XTR seems to be the right choice for you. You trade some compatibility and style for that. Overall, the Master might pack a little bit more of a punch. But to me, the difference in these two Andis professional hair clippers’ performance is very, very little. Both would be a great investment if you want to have something sturdy and potent as your hair cutter. Just keep in mind that they are not the right clippers for complete beginners. You’d better stick to something like the Remington Shortcut Pro or Oster Fast Feed in this case. Keep up the good work, thanks for your review!